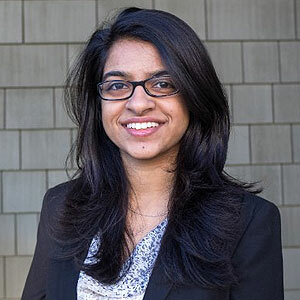 Ishita Mandhan is a software engineer at LSQ and program director for Girls in Tech, a global nonprofit founded in 2007 to create a support framework to help women advance their careers in STEM fields. In this exclusive interview with reporter Vivian Wagner, Mandhan shares some of her perspectives as a woman in a male-dominated field for TechNewsWorld&apos;s Women In Tech series. TechNewsWorld: Describe the course of your career. How did you get interested in software engineering? Ishita Mandhan: I grew up in a family of doctors, so it was natural to take math and science in high school. I wasn&apos;t sure what I wanted to go into, so I did pre-med and juggled both that and tech. I interned at a few companies, and I thought, I&apos;m enjoying working in tech so far, and if I don&apos;t like it I can always go the MCAT route. That&apos;s how it all started. A lot of people feel like you have to have it all sorted early on, but it&apos;s OK to give it time and let yourself figure out what you want to do. I ended up staying in tech, and I get to give back in my role in different nonprofits. TNW: What do you like about software engineering in particular? Mandhan: I like problem-solving -- taking a use case that&apos;s in the world, breaking it down, and figuring out how to solve it. Going through that process -- talking about it, brainstorming, and coming up with a solution -- really excites me. TNW: What challenges have you faced as a woman in technology, and how have you overcome them? Mandhan: That&apos;s a hard one. I think we&apos;ve all faced our own challenges. It&apos;s not rare to be the only woman in a room full of male engineers. There are moments when you wonder if you&apos;re saying the right thing or if your opinion is valued. The key is finding the right coworkers -- where your opinion is valued, and you&apos;re treated for who you are, not because you&apos;re male or female. You&apos;re a good engineer, and that&apos;s what matters at the end of the day. TNW: What advice would you offer for girls and women interested in developing careers in technology? Mandhan: Keep at it. Find more than one mentor. Find a support group. Find the people who are going to be there for you no matter where life takes you. You have to understand who you are as a person. Maybe being in tech isn&apos;t what you want to do. Take time to understand yourself. If you choose to be in tech, make sure to develop a sense of community. Find leaders in the industry and talk to them. Find professional mentors -- women in the positions you want to be in or people whose work you admire. It doesn&apos;t have to be one person who is perfect. Find a group of three or two or 10 mentors and pick up skills from all of them. Get into roles where you work closely with them, talk with them, and spend time with them, and then apply those lessons to your life. TNW: Describe the mission of Girls in Tech. Why do you think it&apos;s an important organization? Mandhan: Girls in Tech is a global nonprofit. We focus on engagement, education, and empowerment of girls and women in technology. It&apos;s important to provide the support network to help women to develop their careers in STEM fields. TNW: Could you talk a little about Girls in Tech&apos;s Global Classroom? What is it, and what functions does it serve? Mandhan: The Global Classroom teaches girls and women around the world. It&apos;s a free-for-all course where you can learn to build a website, and it takes a holistic approach. We help you walk through the process, go through the design principles, and figure out who your client is going to be. Every student who goes through the program builds a website for an organization of their choice. We&apos;re trying to spread the word and do good by teaching people to do good. It&apos;s 100 percent virtual and 100 percent free. It&apos;s great because you see people who are 60 or 70 years old trying to learn to write code because they want to be closer to their grandchildren. You see mothers and daughters bonding and going through the course together. It&apos;s really important to have it open to all age groups, since that gives it a broad approach. There are people from all different countries and with different perspectives, and they&apos;re bringing all of that to the classroom. It&apos;s cool to observe the classroom in action, to see the course in execution. There&apos;s a lot to gain just from learning from different people. You see how they learn and how they solve problems, and you also see the wonderful websites that they come up with. TNW: How do you see Girls in Tech evolving in the future? Mandhan: I see it continuing to focus on a new generation of women in tech and entrepreneurship. The three missions -- engagement, education and empowerment -- are key to the organization. The different programs fall into those categories, and they really help push it forward.